It’s difficult, and exhilarating, and everything I expected it to be. I was going to regale you with exciting tales of the Socratic method, of color-coded note taking and bouquets of freshly sharpened pencils, of my love affair with briefing cases, and the new-to-me world of legal podcasts. Instead, I’ll report on the sliver of my life that hasn’t changed. I’m still obsessively tending my little farm, creating chaos in the kitchen, and finding an excuse to bake something every day. A couple of weekends ago, I picked tomatoes. 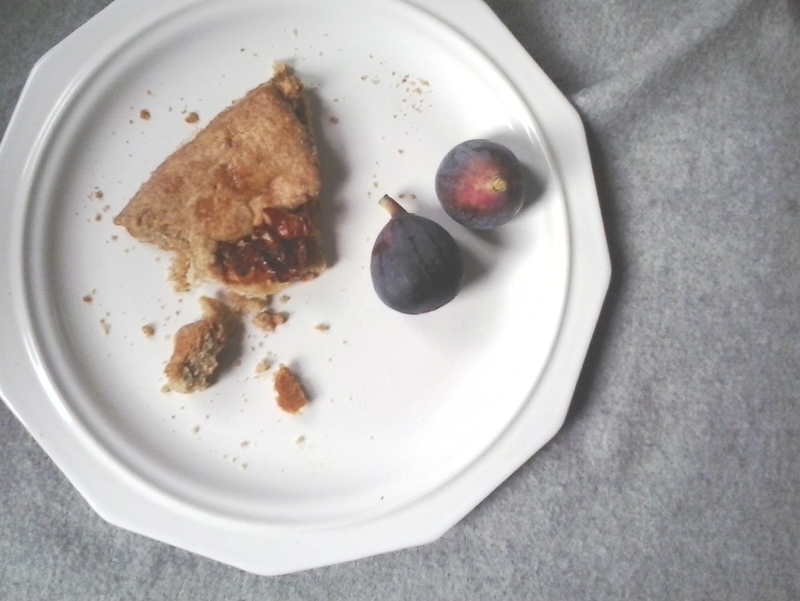 And then I made a tart. 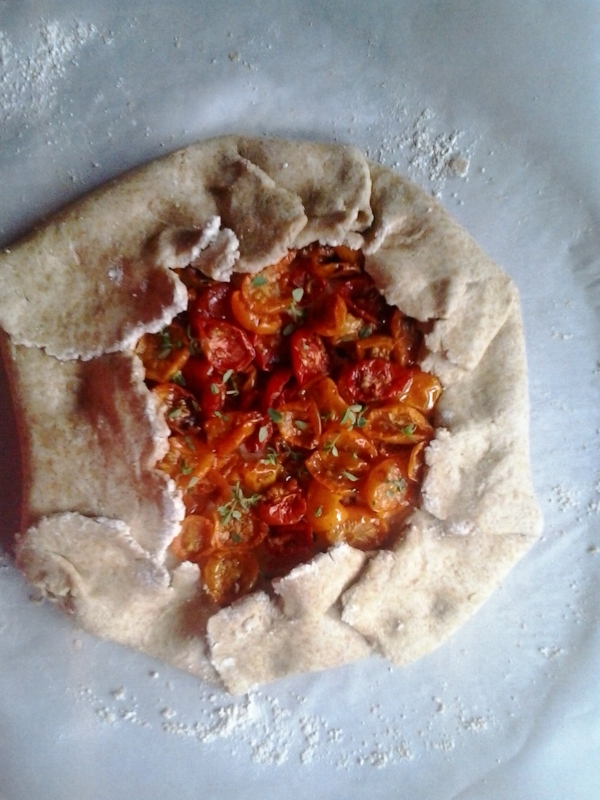 The tomatoes used in my galette pictured above were already roasted, because my cashew chèvre was quite tangy and I wanted my tomatoes extra sweet. However. 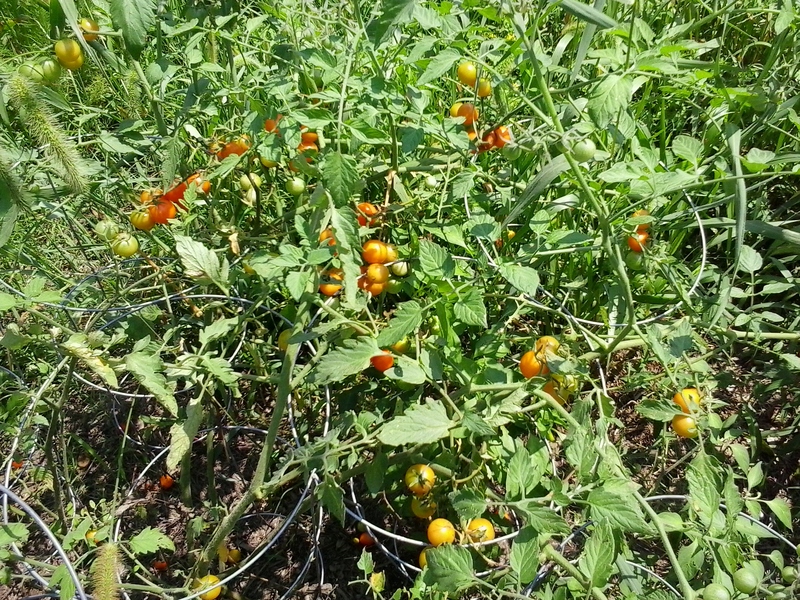 The recipe is written for raw tomatoes, which are what I most often use. Be sure your layer of cheese underneath is nice and thick (to soak up any extra juice). If you go the roasted tomato route, the time it takes to preheat the oven and roast them is about the same amount of time it takes to chill the dough. Chilled coconut oil can be used in place of vegan butter, but it warms up more quickly so observe mise en place before you get started, to keep things moving along. Time spent from rolling out the dough to sliding the galette into the oven is under fifteen minutes. If the dough tears when you’re folding up the sides, just pinch it together and carry on; free form tarts are supposed to look rustic, not polished. In a food processor add the flour, cornmeal, sugar and salt, and pulse a few times to combine. Add the butter and pulse again, until it’s in pea-sized pieces. Add the olive oil and ice water and pulse a few more times until the dough comes together; it will be sticky. Turn the dough out onto the center of a large piece of parchment (the size of your baking tray) and shape it into a disk, adding a little spelt flour to the top of the disk to keep it from sticking to your hands. Carefully fold the parchment up around the disk, wrap the whole thing in plastic wrap (or zip inside a gallon-sized bag), and refrigerate for at least an hour. Fifteen minutes before you want to put the galette into the oven, adjust a rack to the center position and preheat to 375 F / 190 C. Halve the tomatoes and set aside. When the dough is ready to be rolled out, carefully unwrap the parchment paper. Roll the dough into a circle until it reaches the edge of the parchment – or is 1/4-inch thick – whichever comes first. Sprinkle with flour as you go along to prevent it from sticking to the rolling pin. Transfer the parchment/dough to the baking tray you’ll be using and put it into the freezer for a few minutes to firm the dough back up. When you pull it back out, leave the parchment on the baking tray while you finish putting the galette together. Carefully spread the cheese out from the center, leaving a two-inch border of dough. Arrange the tomatoes in an even layer over the cheese, cut side up. Sprinkle the salt, pepper, and thyme leaves over the tomatoes. Using a spatula if necessary to avoid sticking, lift up an edge of the dough and fold it up over the filling. Continue folding the dough, forming a pleated edge as you go along. Pinch any tears in the dough together with your fingers. Brush the dough with soy milk. Bake until the crust has browned, 35-40 minutes. Slide the galette onto a cooling rack and allow to rest for at least 10 minutes before cutting into wedges. This tastes good both warm from the oven and at room temperature. I’ve been meaning to give a garden tour for ages, one of the entire grounds. It’s a lot – my gardens and beds are spread out over 15 acres, and every time I think about it I get overwhelmed. Until I finally realized that I don’t have to do it all at once, and then I got excited! 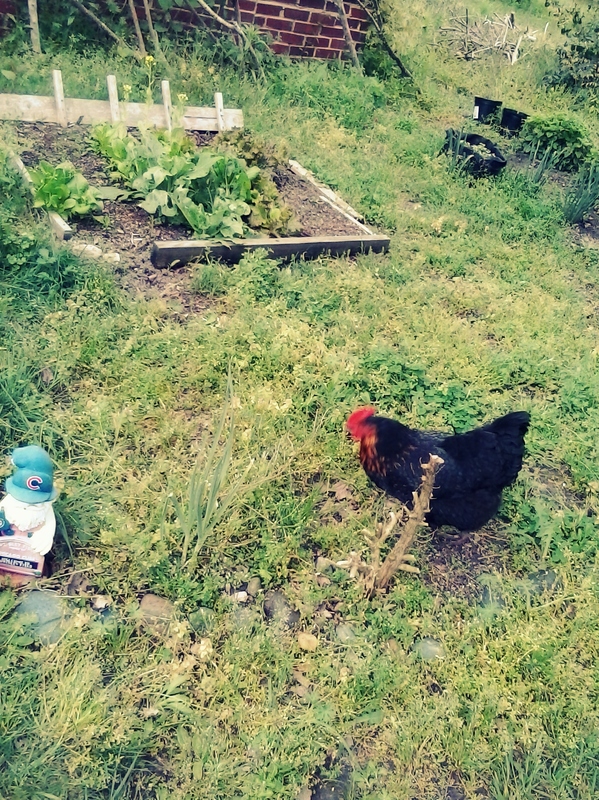 Starting next week, with my kitchen garden, I’m going to give you mini tours of this wee little farm I love so much. 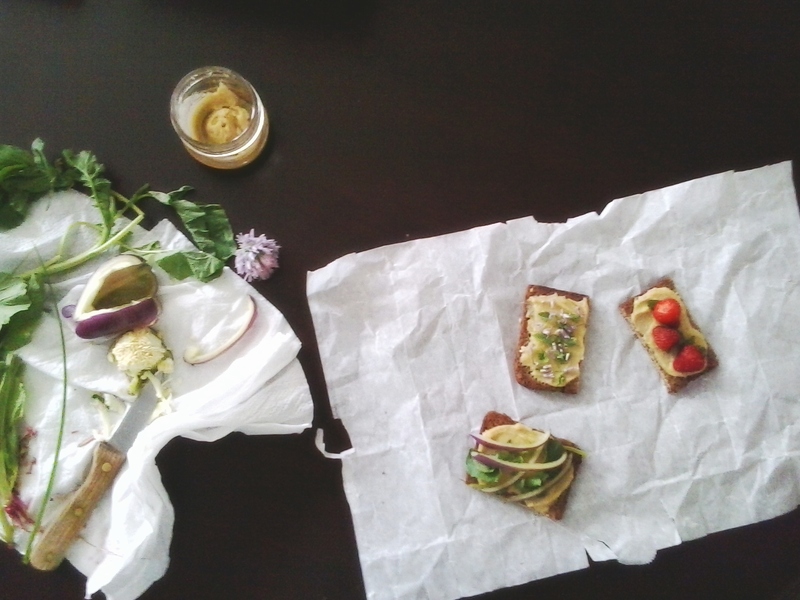 The recipe I’m sharing today pairs really well with a lot of things growing in my kitchen garden right now, both sweet and savory. 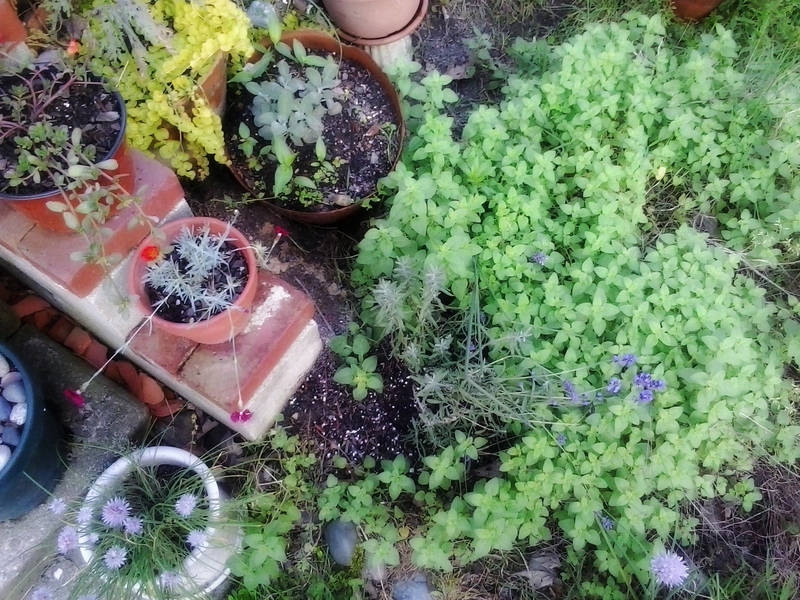 The corner of my kitchen garden, home to sprawling herbs, many pots of various sizes, and full of hidden frog and lizard burrows. Most of the pots offer temporary housing to seedlings or plants while I decide on their permanent places of residence. They are also home to many a burrowing toad; Nina made a temporary dwelling for a couple of toads we found in a pot while transferring plants. 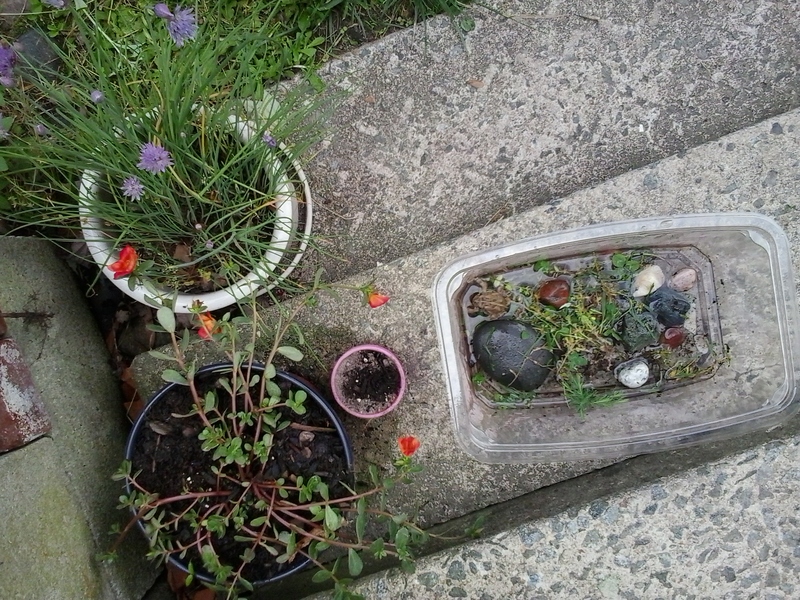 After everything was put back in order, we released them back into the garden. This photo of Vastra was taken a few weeks ago – the bed of greens behind her is now completely overgrown, despite us cutting salad greens every day. I leave a ground cover of chickweed year-round, so that when the girls jump their fence and make a beeline for the garden, they’re distracted enough that we can catch them. Don’t feel sorry for Vastra! She and her flock has a very nice fenced in dwelling, which I’ll show you during an upcoming tour. 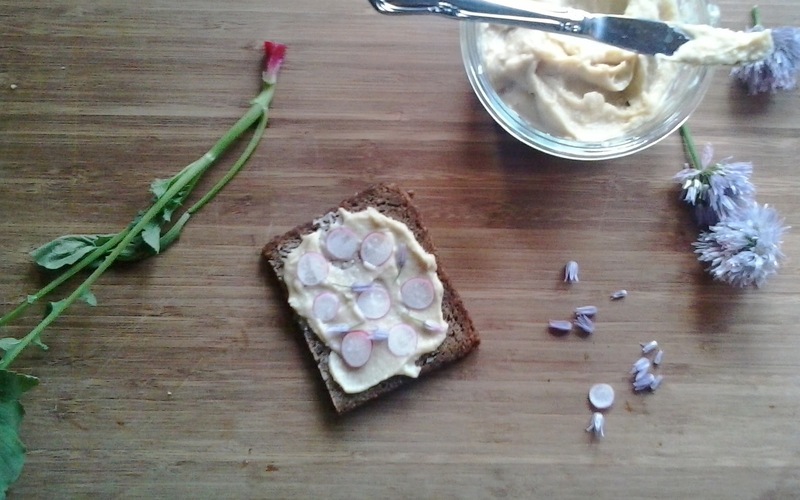 A dark rye tartine with homegrown radishes and chive blossoms. 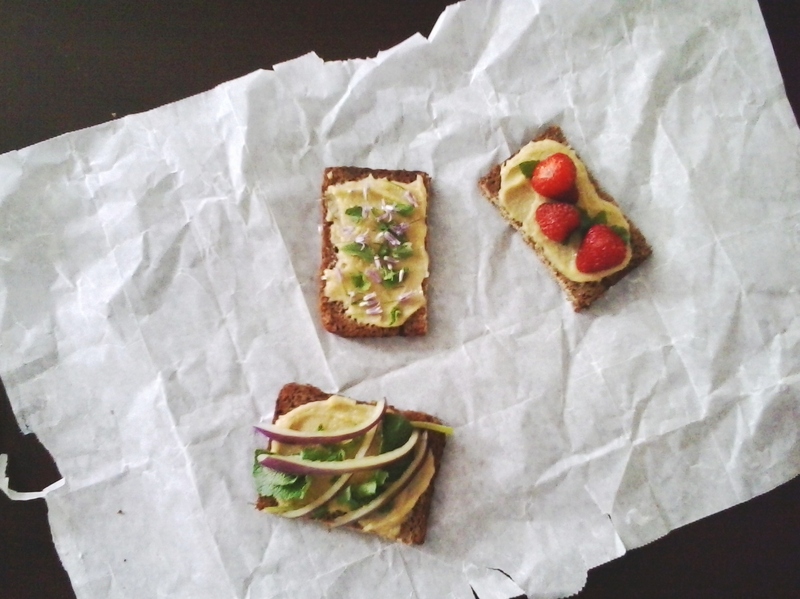 Tartines for lunch, left to right: last night’s radish leaves and a pepper from the farmers’ market; radish leaves and chive blossoms; homegrown strawberries and mint. This reminds me of chèvre – delightfully tangy, with a hint of sweetness that is only detectable when you aren’t looking for it. It’s a soft cashew cheese, one that isn’t cultured that I like to make while I wait for my cultured cheeses to hurry up already. I make it in small batches in my mini Cuisinart, which has graced my many kitchens since 1995. I don’t bother soaking my cashews; it’s such a small amount that they turn to powder with just a few pulses of the blade. When Nina wants to get in on the action, I let her pulverize the cashews in a spice grinder – not necessary, but very gratifying. And truth be told, even faster than the food processor. Add your cashews to the food processor and blitz until powdered. Add the rest of the ingredients and blend until smooth. Add additional water if necessary – you want the texture to be similar to whipped cream cheese. Will keep in the refrigerator for a week or so.